I was looking at Dell's Latitude line of "business class" laptops and tablets, and realized that many of these are available with an optional internal LTE wireless data card, like this one. This model supports most, if not all, of the bands used by US carriers, including T-Mobile's relatively new Band 12. Dell sells them for a very high price, but they are available for a lot less on ebay, typically around $100 for the newest version, or about half that for the previous version. 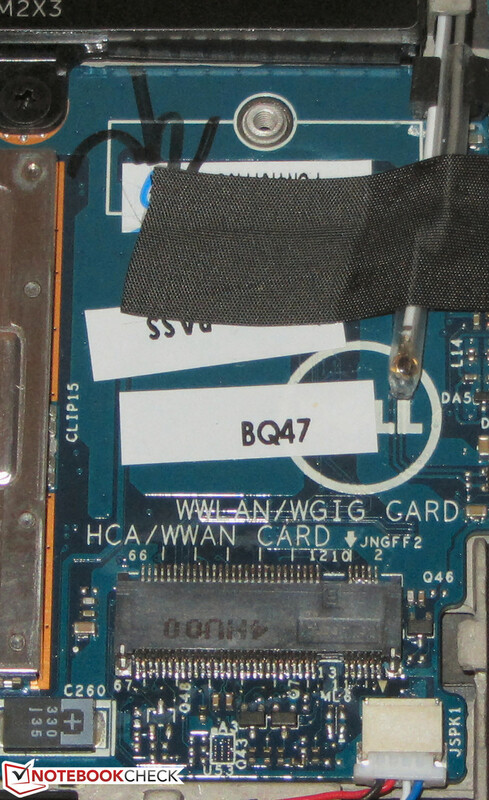 These cards are added using the internal "M.2 WWAN" slot on devices so equipped, like this. The thing is, these cards don't just add LTE connectivity... they also add a GPS receiver. And Dell Latitude laptops & tablets aren't the only devices that can be upgraded this way... apparently Lenovo and several others also support this (of course, driver support is required to make it work). Some people have managed to upgrade models that weren't "officially" supported, using different LTE/GPS card than those originally supported by the laptop/tablet manufacturer, as in this case. This guy plugged in a Huawei Me936 LTE card even though Dell never shipped that configuration, and got it working using a driver from Huawei. So the dearth of GPS-equipped Windows devices (Surface 3 being one of a very few commonly available), is not quite as bad as it seems. And maybe eventually it will be about as routine as adding an ethernet or Wi-Fi adapter. I have a Surface 3. It does not have a GPS nor is it capable of supporting an internal (or otherwise) mobile card. What is your point? I think most people today would wonder what the point is to adding a GPS to a laptop. I was mistaken. I forgot the Surface 3 was available with LTE. It is not an upgrade but an entirely different model from the one I have. As far as I know all (or certainly most) mobile cards have GPS capabilities built in. That is not the reason people buy them though - just an interesting extra. I'm sure there have been discussions on this forum regarding using the GPS capabilities of a mobile card, probably back in the Win 7 days. Not much interest now and I'm not sure it is any easier to interface; just less desire. re: "How to add internal GPS to some new Windows laptops / tablets"
and do the other things that Android/iOS tablets can't do/don't do as well. This functionality is something widely regarded as desirable on Android/iOS mobile devices, but availability on Windows tablets & 2-in-1s is sorely lacking. I thought it was a discovery worth sharing. Evidently, it wasn't worth the time it took to type out that post, not here, anyway. Sorry if that came off so harsh, don't take it personally! I think the fact is pretty evident that very few people use "laptops" for navigation in 2017. Yes, I know there are people here that still use nRoute or jump through a bunch of hoops to keep Streets and Trips running. I'd be surprised if that market was much more than a few thousand people worldwide. If it was, then why has almost every software company exited the Windows navigation market? GoneNomad, thanks for sharing. I still use my laptop for GPS navigation almost every day. It's not about nRoute or any of the really old Windows programs like that. And it's not about "LAPTOPS" although if the same LTE/GPS cards ALSO work in some laptops, great! It's about the WinOS *still* offering more overall functionality than Android or iOS. The Win10 "Maps" app outperformed GoogleMaps/nav in key areas of many of the tests posted on this site last year, and S&T2013 was shown to *still* be the best trip planner. Both of these run on Windows 10 (without jumping through any hoops except to install it & GPSReverse if using internal GPS), but not - of course - on Android or iOS. Also, the Windows version of CoPilot (regular version) runs on Win7 - Win10, and now costs only twenty bucks. The CoPilot RV & Trucker versions cost more but also have no direct competitor on Android/iOS, which don't run the other software needed by some people who need to get work done while traveling. Thanks for the heads up on CoPilot for Windows, GoneNomad. As a confirmed Windows user, I will certainly give it a look. Installing the 32 bit version on my ASUS tablet as it has a built in GPS and I'm not sure what to expect. Can't copy and paste the reg code - you have to type it in. Fortunately it does have a OSK. Installing the Canada maps as they are smaller so quicker to download. FYI: The Samsung GALAXY TABPRO Pro S is another Win10 tablet that has internal GPS (not an add-in card). It also comes bundled with a keyboard that IMO is a POS, in addition to also not being backlit.